Alcro is a Gas Sa fe registered company. This means that you can be sure that we are qualified and insured to work safely in your home. It is also a legal requirement for anyone carrying out gas work. 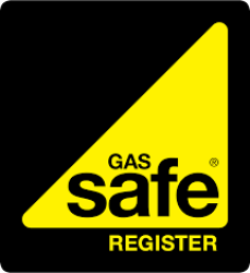 Please check our business by visiting the Gas Safe website and search by name or post code. For more information visit: www.gassaferegister.co.uk. Or read our post about what being ‘Gas Safe’ means. Alcro is an N ICEIC approved contractor. This means that we are regularly assessed on the quality of our work, compliance with the necessary regulations and that we have sufficient insurance. We also provide Building Control certificates (where required), saving you money. In addition, our certifiable work is covered by the NICEIC Platinum Promise – a six year guarantee. Since 1998 Checkatrade has been supporting consumers in finding a tradesperson which only allows the best tradespeople to become members. They have 15 considerations of which, 12 are actual checks. Its vetting process has proven to be the most significant way of protecting consumers and achieving the Checkatrade mission of stamping out rogue traders. Checkatrade is a national organisation which encourages customers to submit reviews so that others looking to book tradespeople to carry out work. As a member, Alcro has received many excellent reviews which can be seen online on the Alcro profile page. Alcro Ltd is a company registered in England and Wales. Registered number: 08177285. Registered office: 28 Windsor Road, Reydon, Southwold Suffolk IP18 6PQ.